March 28, 2013 by Lori C.
Picture books are great for enhancing literacy in the elementary grades. They can be read aloud to a group, shared with an individual child, and paged through by the students themselves, taking in everything the pictures add to the text. These new picture books offer up another layer of opportunity: the content of each serves as a starting point for a lesson or unit on a particular area of study in the classroom. You could use this book as a starting point for teaching about this historic time period, or you could use it in a discussion about injustice and about fighting for what you believe in. Ask students to think about something that is unfair or not right—their concerns could range from school bullies, polluted water, abandoned pets, and homelessness to global news stories about war and poverty. Help them to research issues they are concerned about and to explore ways in which they can make a difference. For ideas, try The Kid’s Guide to Service Projects or The Kid’s Guide to Social Action by Barbara A. Lewis or Cleaning Up the Earth by Precious McKenzie. Determination works wonders, and underdogs often succeed by shooting for the moon and then going for it. Have students write down a goal they each have for the next week or month at school. It could be “reading my first chapter book,” “writing and illustrating my very own story,” “running a whole lap on the track,” or anything that a student would have to work hard to achieve. Challenge students to choose goals that are meaningful to them. 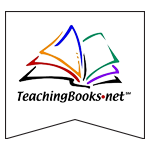 Help students explore some of the websites listed in the back of the book. Several of them have audio clips you can play for students to hear the frog sounds described in the book and others as well. You may also have students draw a picture of a frog (you could supply the outline from a website like Frog Life Cycle). You could also have them record a sound to go with their frog. Play estimating and counting games with students. You can use a jar of jelly beans, a bowl of paper clips, a baggie full of Cheerios, a stack of books, a ten-by-ten square-foot area of dandelions, and whatever else you can come up with. First ask students to write down an estimate of how many objects there are, and then have them team up to count. Come back together as a class and discuss the activity. How well did they estimate the number of objects with each of the items? What strategies did they use to estimate? What strategies did they use to count (by tens, for example)? Picture books often do more than tell a story. Have fun using them to teach, as well!